Antonio Del Principe was the first child born to Elivra Ciolli and Pietro Del Principe. He was born in Pescasseroli, Italy and arrived in the United States on the ship The Weser when he was 4 years old. Tony married Margaret Heenan and they had two daughters; Elvira and Eileen. Elvira’s granddaughter Mary (aka Bear) sent the wonderful photos displayed above. Tony is the gentleman on the right in both of the partner photos. Tony had promotion photographs taken. The photo of Tony in a hat was taken by “Swisher” at 32 N State St in Chicago. 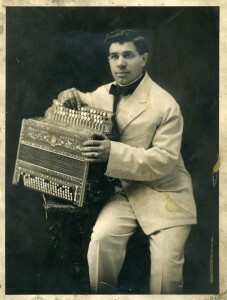 The photograph taken with him playing the accordion was taken by “C-I-Hak” at 323 W. Clark St in Chicago. Tony spent much of his time traveling and performing. This is one of the business cards that he carried. Bear sent me an absolute treasure which I want to share. 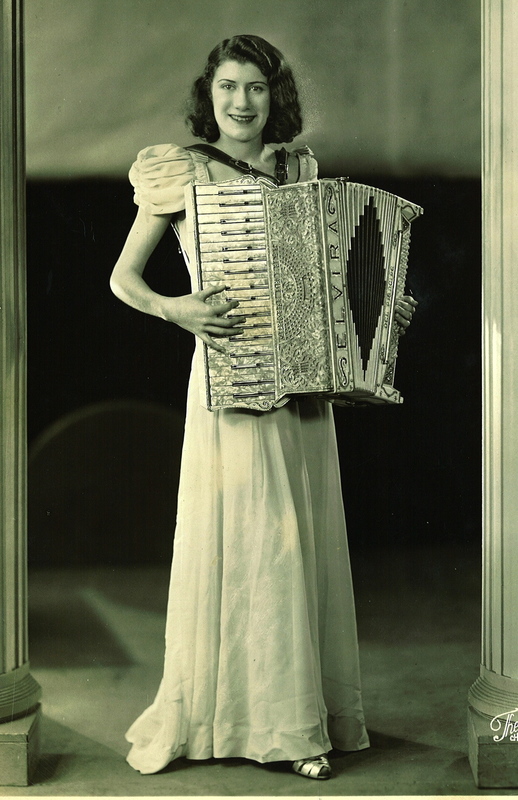 I received an original brochure that her great grandfather handed out promoting his sales and entertainment services. My Aunt Phyllis always told me that Antonio went by the name of Tony Prince. As you can see by the brochure below, she was correct. Tony passed away in 1941 so the brochure is at least 71 years old. 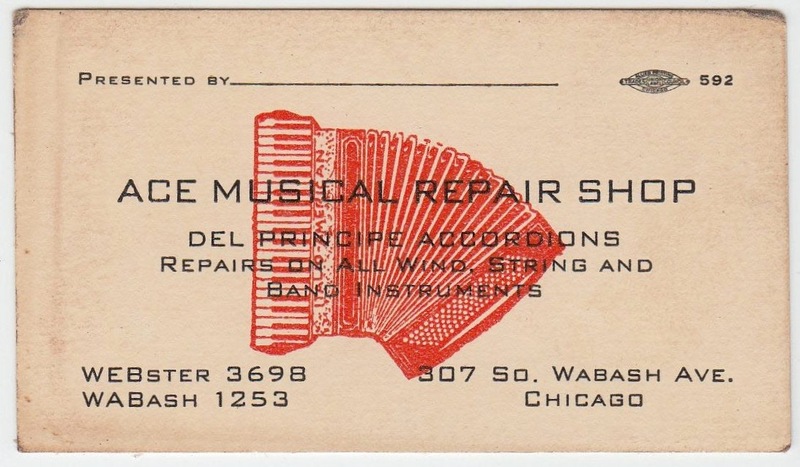 You can click on the business card to enlarge it. Click here to see page 1 of the brochure and to read the lyrics to the songs, click here to see page 2. Thank you for sharing Bear! 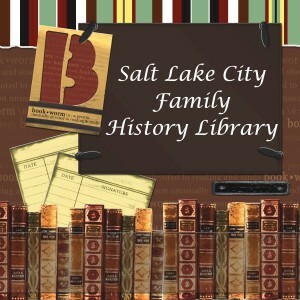 If you were following my posts on Facebook last month, you saw how excited I was about my research trip to Salt Lake City and the LDS Family Search Library. Salt Lake City is a clean, beautiful city and the people are so friendly. We stayed in a hotel across the street from Temple Square. 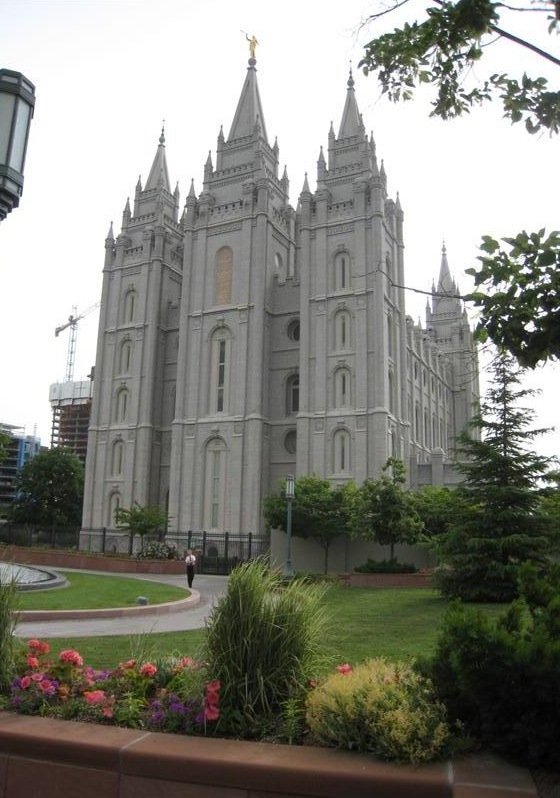 Temple Square consists of many historic buildings. 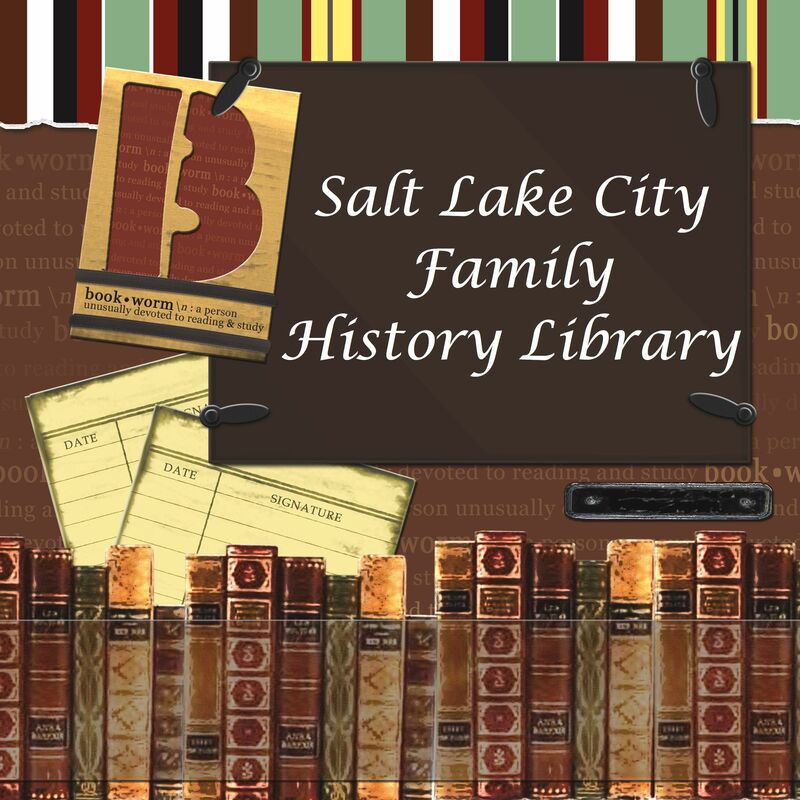 Among them are the Tabernacle, the Family History Library, the Church History Museum, The Beehive House (built in 1853 and home to Brigham Young), the Assembly Hall built in 1882, and of course the majestic Salt Lake Temple, which was under construction from 1853 to 1893. We arrived at Salt Lake City in the early afternoon. Lori and I headed over to the library to start our research. 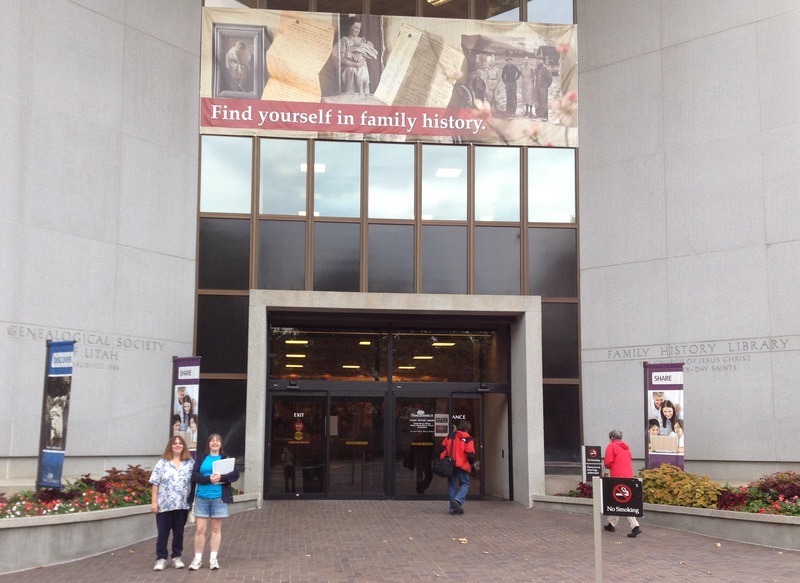 The Family History Library has over two million rolls of microfilmed records. Click on the link below to watch an interesting video on You Tube explaining how the records are stored and shipped to libraries all over the world. Granite Mountain Vault. I had my “to do” list ready to go. One of the advantages of researching in the Family Search Library is having access to free databases that I don’t have at home. I only subscribe to Ancestry.com so I was anxious to see what I might uncover in the library’s free databases. You will not believe it, but we found evidence of more children born to Elvira and Pietro! Lori and I had only been searching for 15 minutes when Lori discovered a record for a daughter named Amedea. This makes a total of 4 daughters born to Elivra and Pietro. We also found records for 1 more son named Settimie. This makes a total of 17 children. I’ve got to tell you, Lori was pretty excited! 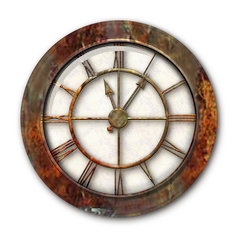 I’ve updated the page of my website that lists the children of Elvira and Pietro so you can easily see the names and records of their children. Click this link to view the records and click the back button to return to the blog. 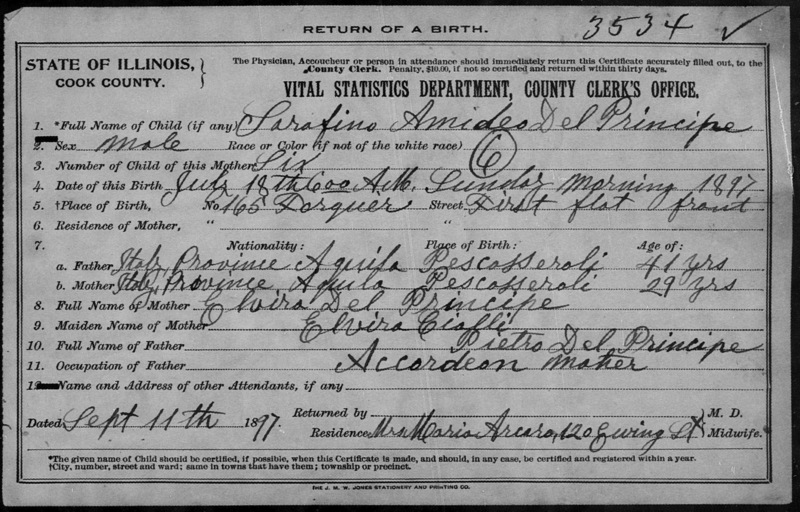 Amedea was born about 1896. She died on March 18, 1897. 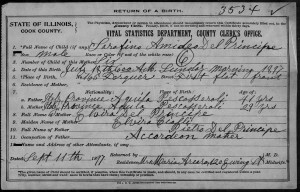 If you click on her second death record source document from Family Search you will see that her death record was signed by her brother Joseph Del Principe. A son named Settimie was born in Aug of 1897. 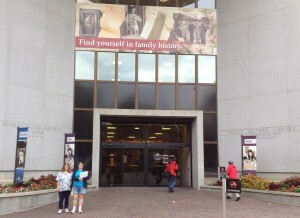 Lori and I took a break for dinner and walked around Temple Square, then returned to the library for more searching. Lori found at least 20 obituaries that I’ve never been able to obtain, she was using the free website called Proquest. These records are packed with names and dates that may be helpful in my research. 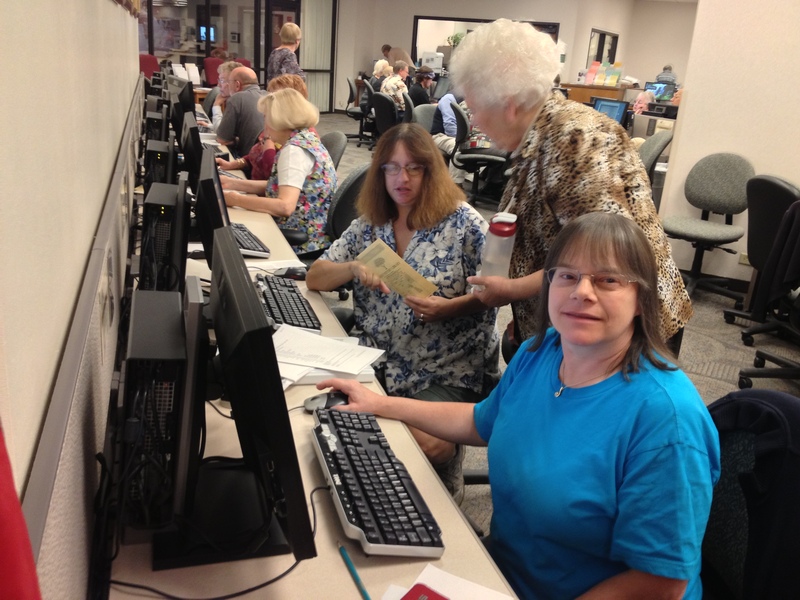 One of the library’s Sisters is assisting Lori with questions about research. The next morning we spent a few more hours researching before Don and Tim joined us. We wanted to listen to the organist play the Temple’s organ before leaving the city. The organ is such an amazing and beautiful instrument; it has 11,623 pipes. Finally it was time to head home with all my treasures, what a great visit to Salt Lake City! Antonio Marius Del Principe was the first child of Elvira and Pietro. 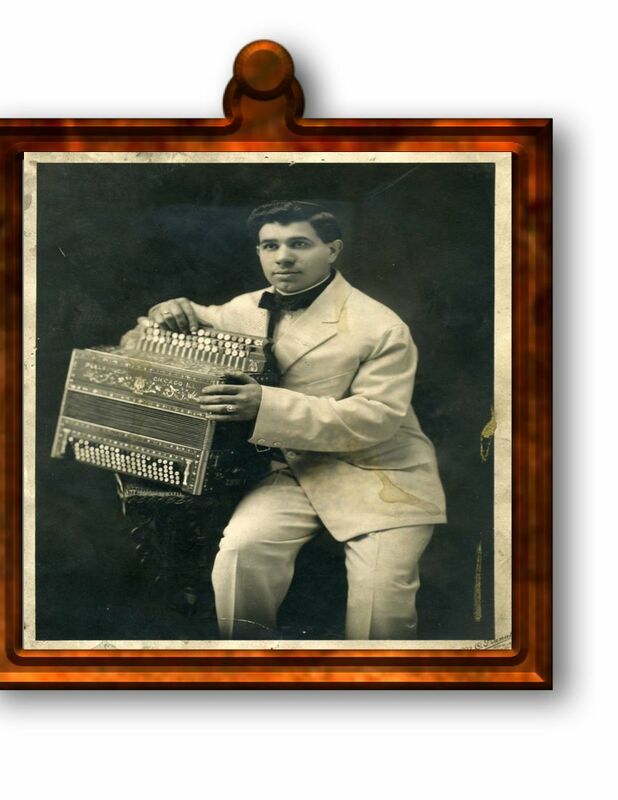 He was born August 7, 1888 in Pescasseroli, Italy. Antonio married Margaret Heenan and they had two daughters; Elvira (Snooks) and Eileen (Turk). 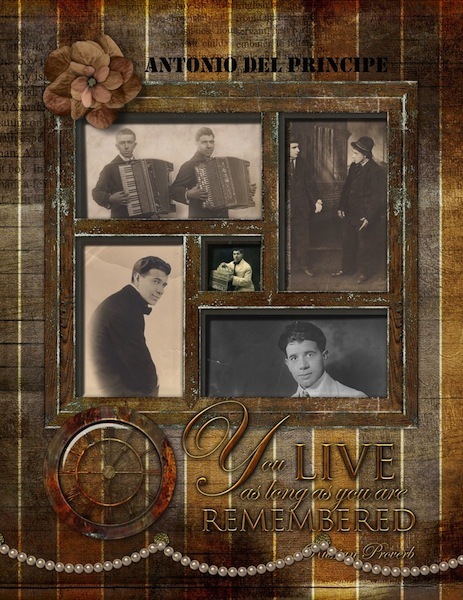 Antonio used to travel around the United States and Canada playing his music and would send postcards back to his family. They lived in the 2 story flat on Irving Street in Chicago. 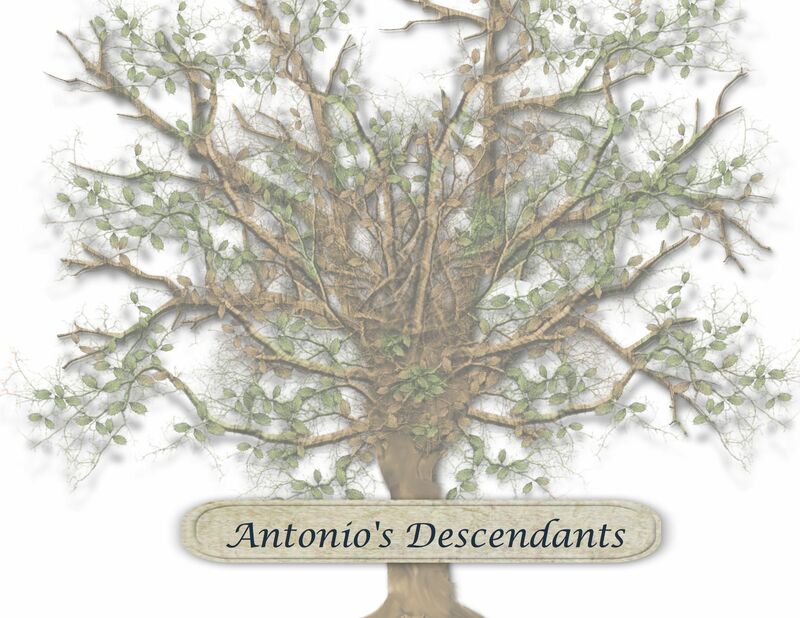 Pietro and Elvira lived downstairs, and Antonio lived upstairs with his family. 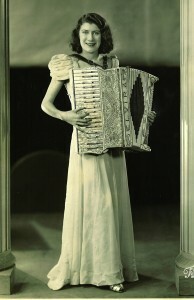 Elvira Antoinette was a premie baby and Margaret told her grandchildren that Elvira was so small she fit in a cigar box which Margaret put by the the coal stove to keep her baby warm. Snooks (pictured left) married Roy Weber. 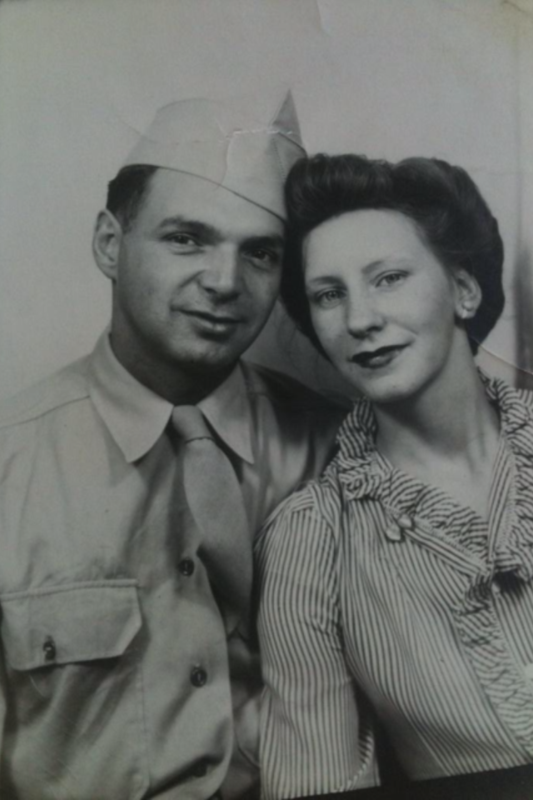 Antonio passed away on Pearl Harbor day. Snooks and Roy were planning Antonio’s funeral. When they finished at the funeral home they turned on the radio and heard the news that the United States had been attacked. Roy was drafted on March 17, 1942. Elvira and Roy had four children; Antoinette, Gregory, Madeleine, and Margaret. 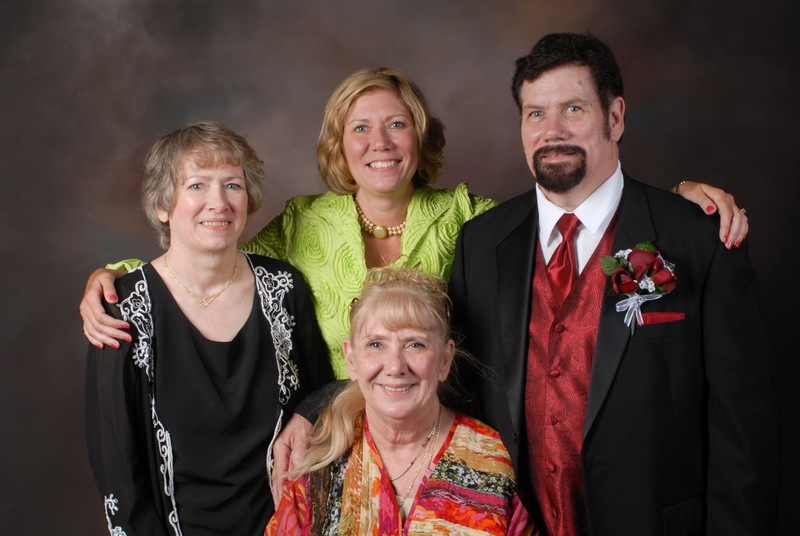 All four of the Weber children danced and competed in Irish Dancing and have won many trophies. Toni and Madeleine went on to teach Irish dancing and named their company The Weber Irish Dancers. This year is the Weber’s 50th anniversary. Check out their website at www.weberirishdancers.com. Click on the about page to see a photo of Toni and Madeleine with some of their trophies. Greg married Teresa and they had two children; Cory and Mary (Bear). Bear teaches at Madeleine and Toni’s studio so she gets to interact with her aunts daily. What a lucky lady! It’s such an interesting coincidence that Bear and I are so involved with the world of dance. As you can see Antonio passed his love for music down through three generations. Bear and I have been corresponding this summer and she’s been so kind in sharing stories, photos and memorabilia. I’ll be adding it all to my website as time permits, so stay tuned. Sarafino (John) was born July 18, 1897 in Chicago, Illinois. This is his birth certificate. Click on the image to enlarge it. Note that John was born in Elvira and Pietro’s apartment at 165 Forquer in the first flat, front. He was delivered by a midwife at 6 AM on a Sunday morning. What a fantastic record to have! Isn’t it great when you can read the handwriting of the record keeper? John married Eva D’Asaro and they had two children; Margrette (Margie) Elvira born in 1919 and Leona born in 1920. They divorced and John married Jeanette Martin who was divorced with two children; Francis (Hobby) Johnson and Violet Johnson. 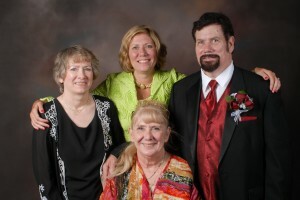 John and Jeanette adopted one child; John Anthony who was born in 1941. 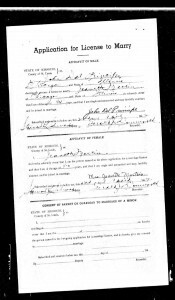 This is the marriage license for John age 44 and Jeanette age 40. Click on the image to enlarge it. 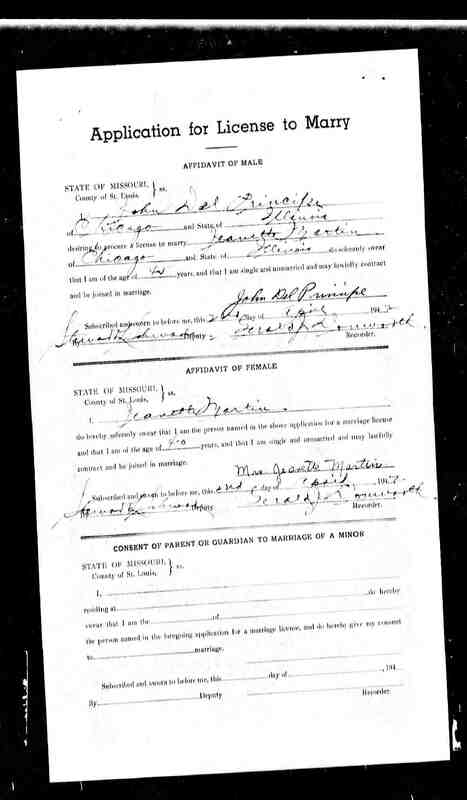 The record is a bit fuzzy but it’s interesting to note that John and Jeanette applied for a marriage license in St Louis, Missouri. Perhaps that is where Jeanette was born and raised. It makes me wonder how John and Jeanette met. Also Jeanette signed the document “Mrs Jeanette Martin”. Her children’s last names were Johnson. I wonder if Martin was her maiden name. Through this connection with Jeanette I have met (via email) Jeanette’s great grandson John McCallion. 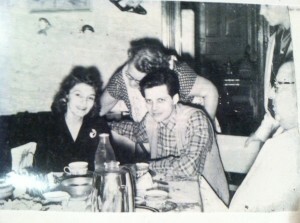 John’s grandmother was Jeanette’s daughter Violet Johnson. Violet married John Messina. Violet and John had a daughter named Sandra. Sandra married Tom McCallion and their son is John. John has many happy memories of every Christmas spent at John and Jeanette’s until he was a pre teen. He remembers that John had many acres of land out in the “Country” which was Orland Park. Thank you to John and Tom for sharing your photos and memories. New generations now have an opportunity to see how these two ancestors touched our lives. 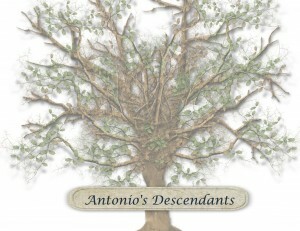 I can’t believe it, but I am fast approaching the two year mark of the launch of our family tree website. To celebrate this milestone I decided the website needed a new look. I hope you love the new template as much as I do! I couldn’t have made the switch without the expertise of Jocelyn from Mozak Design in Portland Oregon. I’m trying to learn wordpress but this switch over was too much for me. Thank you so much Jocelyn. Check out the navigation bar, which now sits on the right instead of the top of the screen. I’m adding photo galleries! I have many more photos that I’ll be adding as time permits, so check the albums out periodically. If you have any photos that you’d like to contribute, please email them to me. I’d love to add them to our albums. Facebook members – please take a moment and click on the “Follow this blog” button in the Networked Blogs box on the right side of the screen. I really appreciate your support!